Schedule Notes: Class start times are strictly enforced. Class end times are approximate (give or take 15 minutes). Class will meet 1:00 PM to 4:30 PM on Thursday, 8:00 AM to 4:30 PM on Friday, and 8:00 AM to 12:00 PM on Saturday. There will be a 15-minute break on Thursday. There will be two 15-minute breaks and an hour lunch break on Friday (lunch not provided). There will be one 15-minute break on Saturday. 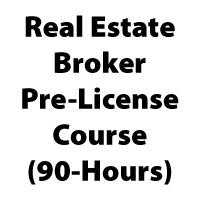 Full Description: Real Estate Broker Pre-License (15-Hr). This is the 15-hour INTERACTIVE course. This course is ONLY for those students that have already taken the first 75-hour requirement. 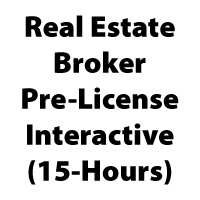 This is ONLY the 15-hour interactive portion of the total 90-hour state requirement. *NOTE: The $225 price listed reflects a $25 "early bird" discount for registrations received on or before March 4, 2019. The price for registering after March 4, 2019 is $250. Nick has been in the real estate industry for over 20 years!